In a similar vein, under the Narendra Modi government, India often taunts Pakistan with threats of a ‘surgical strike’. However, this bluff is only meant to appease its own citizens and reap electoral dividends for the Bharatiya Janata Party (BJP). If India had really wanted to conduct surgical strikes within Pakistani territory, then it would have done so after the Mumbai attacks of 2008, for which it blamed Pakistan. It especially would have done so after the 2001 attack on the Indian Parliament, for which too it blamed Pakistan. In 2002, India amassed half a million troops on the Pakistani border, in the kind of mobilisation only seen during the World Wars, and yet it did not conduct a surgical strike. So how is it possible that India would conduct a surgical strike now, when the stakes are nearly not as high? There is more or less a military parity between India and Pakistan, both on a conventional and especially at a sub-conventional level. Modi’s handpicked successor and notorious puppet, General Bipin Rawat, is aware of this. He also knows that India’s armed forces may be numerically superior, but Pakistan’s armed forces are battle hardened after almost a two-decade-long war on terror, and are prepared to react instantly to any kind of provocation. Both military and political leaders in India understand that if they conduct a surgical strike within Pakistan, which is a violation of Pakistan’s territorial integrity and sovereignty, it would lead to an equal – if not greater – response from the Pakistani side. It may even result in outright war, with the real possibility of a nuclear Armageddon, if matters continue to escalate. Therefore, it is easier for the Indian political class to celebrate a faux anniversary of a faux surgical strike, rather than actually intrude into Pakistani territory. ‘Parakram Parv’ is the name given to the three-day celebration commemorating India’s surgical strike inside Pakistan, in which Indian armed forces supposedly smashed numerous terrorist camps in Azad Kashmir. It is hilarious how the first anniversary of this fake surgical strike was never celebrated, yet the BJP government celebrated the second anniversary of this non-existent attack with pomp and circumstance. Anyhow, what’s more important is to understand that there was no surgical strike to begin with – it was all simply hype and drama from India’s side. During previous governments, India would always try to hide its incursions across the Line of Control (LoC), but I suppose Modi derives some kind of sadistic pleasure from flaunting and exaggerating his army’s blatant violations of the LoC. The LoC is a very ill-defined border in an inaccessible and wildly cold terrain on both sides of Kashmir, which both the Pakistani and Indian armies cross at will to attack the other’s forward posts. The LoC violations in any given year are so numerous that most of them go unreported. What happened on September 29, 2016 was something similar, but this time around the Indian army’s LoC violations and attacks on forward Pakistani posts were more coordinated, and a large number of posts were attacked at the same time in the wee hours of the morning. 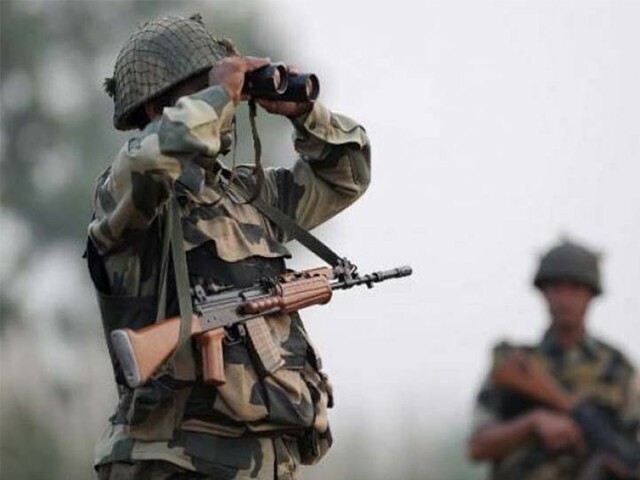 Indian troops struck in the Madarpur-Titrinot region of the Poonch sector in the Leepa and Neelum valleys. In some areas, they ventured a kilometre each inside Pakistani territory. Two Pakistani soldiers were killed while offering their fajr prayers. However, once Pakistan learnt of the attacks, the reprisal was swift, and Indian troops were sent scampering to their bunkers. No commandos, however, were air-dropped into the alleged “launching pads of militants” inside Azad Kashmir; nothing like the Navy Seal Team Six operation was carried out. However, I must applaud Modi’s government for its creative propaganda; they are giving Joseph Goebbels a run for his money. They created such media frenzy over a routine LoC violation that now even Bollywood is releasing a movie soon, titled Uri, which much like any other Bollywood flick, is an un-creative, over imaginative imitation of Zero Dark Thirty. In fact, the Modi administration propagates such a virulent anti-Pakistan image of itself in the media and amongst the masses that they cannot even be seen talking to their political counterparts in Pakistan. After all, India and Pakistan were scheduled to have a really constructive dialogue on the side steps of the 73rd session of the United Nations General Assembly (UNGA), to mark the start of the new beginning promised by Imran Khan. But alas, it was not to be. Sushma Swaraj pulled out of her meeting with Shah Mehmood Qureshi, citing printing of Burhan Wani’s postage stamps and the killing of Indian security personnel in occupied Kashmir. However, both these incidents happened before India accepted Imran’s invitation for talks. Yet these excuses were made as a pretext to withdraw from what in prior was always seen as a routine and perfunctory meeting. Their Ministry of External Affairs (MEA) might be able to come up with excuses out of thin air in order to avoid talks with Pakistan, but this entire episode merely shows that the BJP-led government is very evidently not serious about peace talks with Pakistan. Granted, Qureshi’s speech after the Indian rejection was aggressive, going to the extent of blaming India for the Army Public School (APS) attack, but the intention behind his speech must be understood. Pakistan genuinely wants to extend a hand of peace towards India, and Modi has a better shot of ensuring good relations with Pakistan for at least the short-term under Imran, because the military and the government are finally on the same page, unlike their apparent dislike of former Premier Nawaz Sharif. Modi, however, doesn’t think about the prosperity of the future generations of the subcontinent. All he wants to do is appeal to his party’s and country’s far right in order to win the next election, even if it comes at the cost of peace. How did Pakistan’s stock market go from being Asia’s best to Asia’s worst? Not only Modi, almost all world leaders have used Pakistan during their local elections. Great article but a few errors and omission to point out if I may. Referring to you last paragraph, about time Pakistan put the record straight. It was necessary to remind the public of the facts (presented to the UN already). People have short memories. Crossing the LOC onto the other side by a couple of KMs happens all year round from both sides. That does not equate to surgical strike. Surgical strike constitute going deep within the enemy territory either via helicopter drop or on foot then doing the raids and returning back. We know both of these couldn’t have possibly happened since helicopters would’ve been detected and shot down and the foot on raid isn’t possible since it would entail Indian soldiers to climb the steep hills back to their side of the LOC and would’ve been a suicidal mission. What India did was set up their guns on top of ridges over looking the LOC. They did catch our army by surprise at a few points since the attacks at certain places were a first a historically had never been targeted.